Harold Covington often says  that his Northwest novels don’t tell white people what to do, but show them what to be. They are filled with examples of good character. 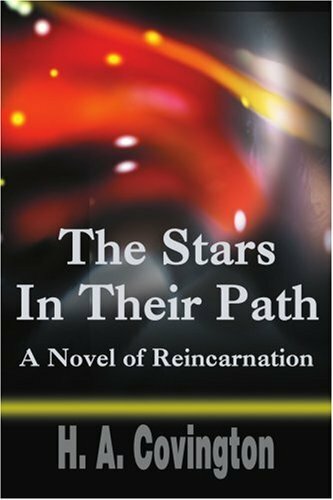 The same is true of The Stars In Their Path, which follows three souls through multiple incarnations from sixteenth-century Paris to the modern day. The novel begins in 1572. A young law clerk, Aristide Roulet, is deeply in love with one of Catherine de’ Medici’s seductive female spies of the Escadron Volant, the “Flying Squadron.” “Their weapons are nimble minds, ice cold hearts and desirable bodies,” Covington writes. But Marguerite Tremblay is different—though beautiful, she is bookish and pure of heart. Aristide is the son of a poor country knight and has no real hope of Marguerite’s hand, especially since she does not return his love. Instead, she is courted by a first-class rogue, Don Carlos Ramirez, aide to the Spanish ambassador. Aristide’s world changes when he is summoned by the Queen Mother to meet Nostradamus. The old man shows Aristide his past lives and presents him with a choice: great wealth in this life, or the opportunity to know why he was called. Aristide chooses the latter and learns that Marguerite is indeed rare, for unlike most souls, who incarnate as different sexes to learn the necessary lessons for their spiritual advancement, she has always incarnated as a woman: “Her soul was drawn from the very wellspring of the feminine life force, pure and unmixed. . . . It is necessary for a small number of such souls, both immutably male and female, to exist.” The time will come, hundreds of years later, when Marguerite will have to make a choice “upon which will hang the balance of all human civilization.” Aristide is asked if he will renounce Marguerite forever as a possible lover, instead being her friend and guiding her to Truth. Being of noble character, he accepts without hesitation. Aristide learns that another soul will accompany them throughout the ages: his rival, whose soul is over-proportionately dark. Don Carlos will wield charm and wealth to try to lure Marguerite to him in every lifetime. Aristide chooses to be armed with the weapons of truth and courage. Thus, the stage is set for the events of the next few hundred years. The story continues in Paris, during the St. Bartholomew’s Day massacre targeting the Huguenots. Here Covington reveals an expertise in historical fiction that is not only well-researched, but also paints pictures that come alive. The fighting scenes in Stars are as engaging as in Covington’s Northwest novels. The characters’ subsequent lives follow equally absorbing trajectories in various European and American settings. One story takes place in an idyllic small village Ireland in 1756. The characters meet again in a heartbreaking story of children—a sweet young girl and boy and a juvenile delinquent. Another story is set in the Wild West, and the final chapter takes place, where else, but the modern-day Pacific Northwest. In fact, the main character seems modeled on Covington himself—a middle-aged intellectual-at-heart who has worked a string of dead-end jobs before landing a tech support position. Meanwhile, he tries to save a beautiful Russian co-worker from a dangerous Hispanic. This is almost the exact situation in which Aristide places himself. He has promised to forsake Marguerite forever as a lover, instead vowing to be eternally devoted to her, risking his life in multiple incarnations so that Light may eventually triumph over Darkness. In Stars, we see a young man who chooses to hold to a pure, true love for a young woman rather than succumbing to any desires—whether desires based on material wealth, lust, or even noble desires of marriage that still are transitory and material. Aristide is an example of one who overcomes his ego by a connection to something transcendent. Another predominant theme is based around the two weapons Aristide chooses for the centuries-long struggle. He is convinced that truth and courage ultimately will be more powerful than deception. Throughout the characters’ many lives, he struggles with the meanings of honor and loyalty, and how to stay on a path of truth even when it seems to be a losing proposition, and even when his lady shuns him. Ultimately, Aristide’s choice is correct. It is only because of his insistence on these noble virtues that Marguerite is able to eventually recognize the Truth for herself. When I finished this novel, I felt a sense a peace and a renewed sense of purpose. The Stars In Their Path is a reminder that there are forces of Light and Darkness that even the smallest human actions can work for or against. It is a reminder that behind the mundane events of life, there are metaphysical implications both in the world and ourselves.